KIEV, April 2. /TASS/. The leader of Ukraine’s Batkivshchina party, Yulia Timoshenko, has said that in the presidential election runoff she is not going to support either the incumbent president, Pyotr Poroshenko, or his rival, comedian Vladimir Zelensky. “I cannot assume the responsibility [to support either],” she said. 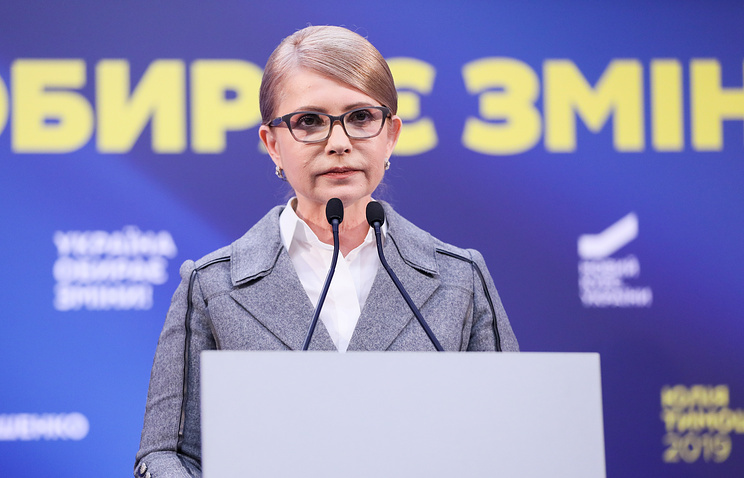 “Our task is to make the elections honest,” Timoshenko said, adding that her party would be prepared to assist any president the country might elect only after the parliamentary elections due in the autumn. “Then we will begin an era of the country’s revival. We’ve been working not for electing a president. We’ve been working for the sake of Ukraine and the Ukrainians and we will keep doing so in the future,” she said. According to the Central Election Commission two candidates entered the presidential election runoff after the March 31 voting: comedian Vladimir Zelensky with 30.34% and the incumbent president, Pyotr Poroshenko with 15.93%. The runoff is due on April 21. Hey Buddy!, I found this information for you: "Timoshenko will not support Zelensky or Poroshenko in Ukrainian election runoff". Here is the website link: https://russophile.org/timoshenko-will-not-support-zelensky-or-poroshenko-in-ukrainian-election-runoff/. Thank you.